A darling of Western Canada (particularly the province of British Columbia), I can rarely remember a trip to White Spot that didn’t result in ordering this burger. You scan the menu every single time and even contemplate ordering something other than the norm, but you always end up asking for your favourite and you never regret doing so. The secret recipe Triple-O sauce is to die for and should be available to purchase. Ordered off of its bar menu, most Keg restaurants will allow this to be selected even if you’re in their main dining room, as well. The ones that don’t are listed near the top of my always growing ‘enemy list’. This burger is absolutely fantastic. The seasoning, combined with all the toppings makes for one tasty meal. Take my advice and throw in an extra buck for the bacon. Unbelievably, it’s one of the cheapest items on the restaurant’s menu to boot! Flame broiled, yes please! 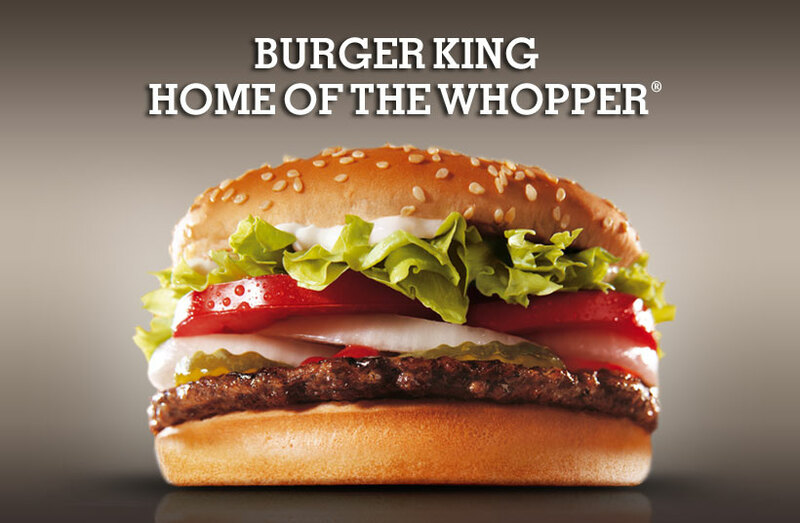 The thing I love best about the Whopper is that it is loaded with toppings. Toppings are essential to any burger enjoyment and the King has read that message loud and clear. I appreciate that the chain has found its way into a number of airports, giving me an opportunity to have a decent meal on the run. Burger King is also one of the few food vendors in movie theatres around my parts, taking advantage of hungry moviegoers. Although I can only find this burger (known as the Big N’ Tasty in the U.S.) at Wal-Mart-connected McDonalds, it is worth the trip. In my opinion, all burgers need essential ingredients and this meal covers all the bases. You have your lettuce, tomato, mayo, ketchup, pickles, and onions… all the colours of the rainbow. Perhaps the only thing missing is a couple strips of bacon, but we’ll let that transgression pass. I had to include a chicken burger on this list and the best place in the world for bird meat is hands down KFC. I haven’t had a Big Crunch in a couple years, but just writing this has me craving the delicious 11 secret herbs and spices recipe. A little tip for chicken burger connoisseurs, try dipping your meal in ketchup before each bite, adding another wonderful flavour to the mix. 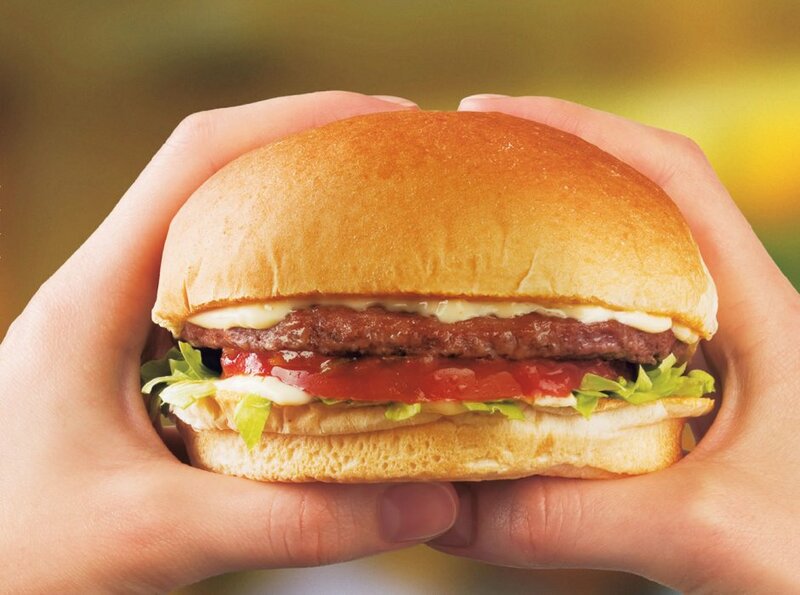 Perhaps the only thing better than one big burger is three mini burgers! Most of my beef selections come sans cheese, but in this case, I’m happy to leave the mozzarella on. The Milestones sliders are topped with crispy onion straws and are accompanied by a delicious sesame mustard sauce for dipping. The appetizer is perfect for sharing and Mrs. Sip and I have been known to gorge ourselves on a couple starters prior to skipping dinner! I learned of Red Mill Burgers watching Man vs. Food, as host Adam Richman toured a selection of restaurants in Seattle, Washington. Thankfully, that means the franchise’s locations are only a two-hour drive away for Mrs. Sip and I. Well worth it, I would say! When we arrived, the line-up for ordering was out the door and it didn’t take long to understand why. Loaded with toppings and the delicious Mill Sauce, I was in burger heaven and I enjoyed the euphoria the entire two-hour trip home! All this talk of burgers has got me really hungry… and all this mentioning of beer has got me really thirsty. Why won’t someone satisfy my needs!? I don’t ask for much. Only to be fed, thirst quenched, and legions of fans who will do my bidding! Not a bad beer cocktail, but a little sweet and not really memorable… it doesn’t live up to the burgers listed above. 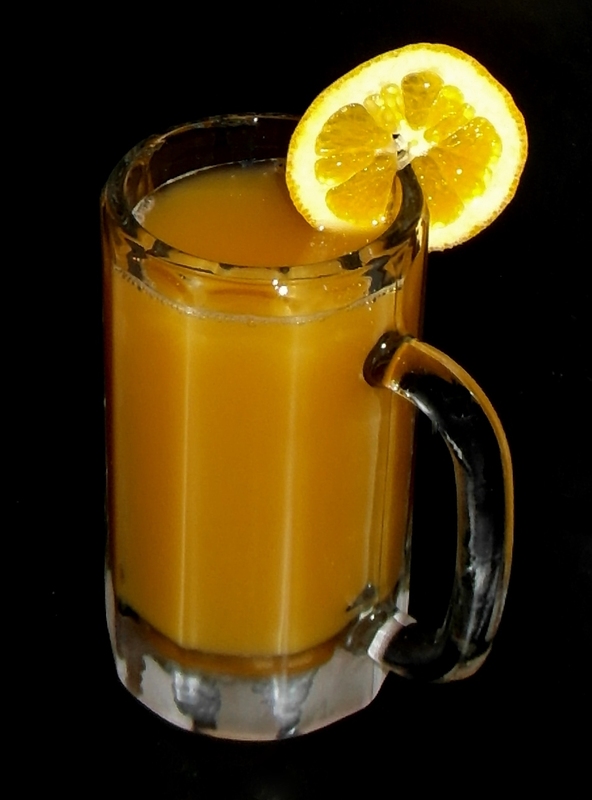 I was looking forward to this drink, as Hefeweizen Beers are my favourite, but I think the Orange Juice took over too much. This entry was posted in Beer Cocktails, Crazy & Classic Cocktails and tagged Amaretto, Bacon Deluxe, Beer Cocktail, Beer Cocktails, best burgers, Big Crunch, Big Xtra, Burger King, Cincinnati Lunchbox, cocktail, KFC, Kobe Beef Sliders, Legendary Burger, McDonald’s, Milestones, orange juice, orange slice, Prime Rib Burger, Red Mill Burgers, The Keg, White Spot, Whopper by Daniel Wilson. Bookmark the permalink.